Everything is new in 1L, and the career jargon is no different. Because approximately 80 percent of students obtain their 2L summer positions at Early Interview Week (EIW)—generally leading to their job offers for post-graduation—I’ve made a brief list of basic career jargon, events, and requirements. Private vs. Public: This is pretty self-explanatory. Public (interest) work usually entails working with the government, NGOs, etc. Private work occurs in law firms, corporations, and other private entities. Litigation vs. Transactions: Law school is geared primarily toward teaching litigation skills in Lawyering (the 1L experiential learning course) and required coursework. Most students have no clue what transactional law is. The only interaction most 1Ls will have with transactional law is in the smallest unit of Lawyering: negotiations. However, this might be the most important distinction to understand in your law school career; it will determine what career you pursue, and many firms require you to choose before practicing. Practice Area: This topic is too broad to lay out entirely here, but a practice area is the type of work an attorney practices in a firm. A few examples: mergers and acquisitions (M&A), capital markets, emerging companies—venture capital, and white-collar litigation. Career fairs are amazing opportunities to network and land that great job. Career Educational Fair: Taking place in the fall, this is a chance to learn about different practice areas. Diversity Career Fair: Firm representatives have tables to meet interested 1Ls and discuss available 1L diversity positions. Panels: The Office of Career Services (OCS), the Public Interest Law Center (PILC), and student organizations host panels on various topics (e.g., private vs. public, 1L job search, M&A, international law, women in different practice areas, etc.). I highly recommend you attend these to become familiar with the jargon. PILC Fair: The public interest version of EIW. You will have a chance to interview with multiple public interest organizations over two days early in the spring semester. Keep an eye on your emails through winter break, as applications may be due during or shortly after the break. 1L Clerkship Meeting: Students are briefed on all things clerkships. 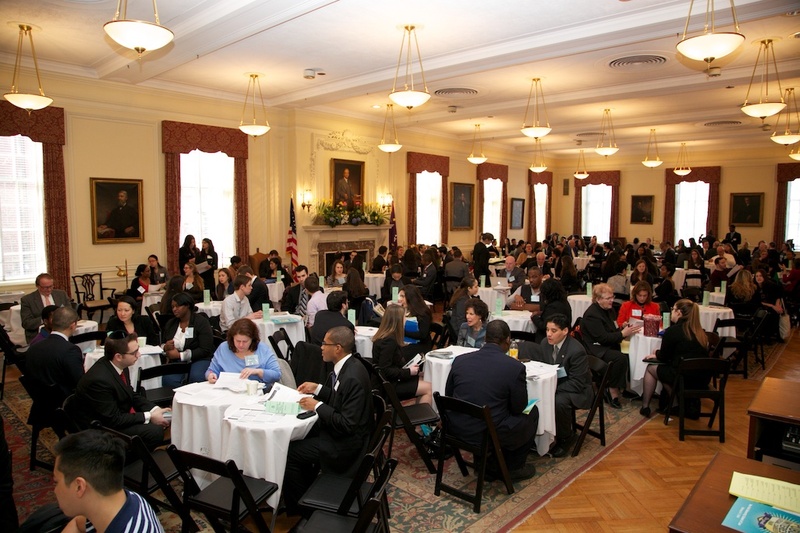 Mock Interview Events: Firms and student organizations host these events. Not only will you receive critiques to improve your interviewing skills, but you will also have a chance to mingle with attorneys at the receptions. Receptions: I previously wrote a post on firm-hosted spring receptions because they are incredible learning and networking opportunities to prepare students for EIW. The receptions hosted by OCS, PILC, and student organization are also valuable and enjoyable; some offer more intimate settings for a better opportunity to build relationships. 1L Job Search Skills Workshop: A fall event to hear an overview of what to expect. This is a prerequisite to meet with career counselors in OCS or PILC. Mini Mock Interviews: OCS 15-minute mini mocks are required to prepare you for the 20-something-per-day interviews you will have at EIW. Strike-A-Match: OCS shares firm data to help students plan their EIW bid lists. Global Networking Reception: If you would like to interview with firms outside of New York City, attendance is required. Career Educational Events: Student organizations and OCS host a multitude of these during the fall and spring semesters. The career fairs and panels often count for this requirement. Practice Interview Program: Over the summer, volunteer attorneys interview students. Interview Skills Workshop: Prepare for your EIW interviews with attorneys. This entry was written by Haley Patterson '20 and posted on November 13, 2018.